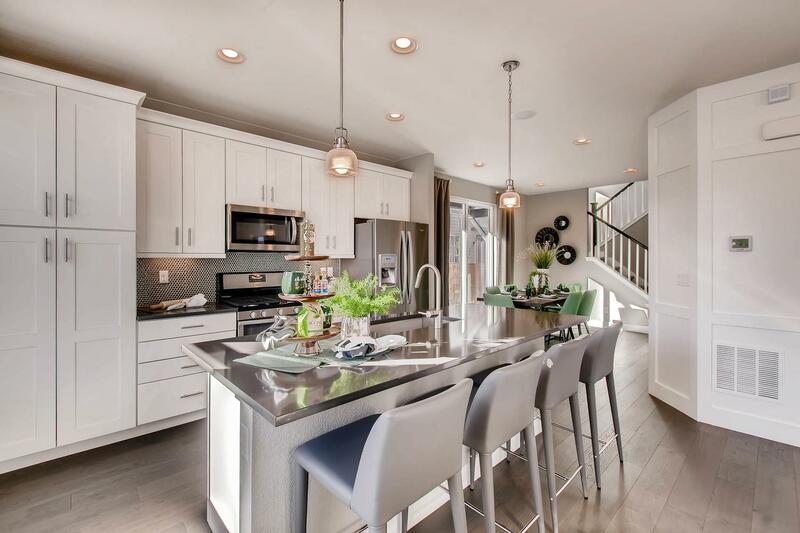 This new community of 34 paired homes is everything you’ve hoped for. Including a nicely affordable price, from the mid $300s. Fresh, Colorado-contemporary designs offer innovative, two-story floorplans. Choose from 2 or 4 bedrooms with loft or study options. Both plans make entertaining easy with a kitchen that flows into dining and living areas, as well as your private backyard. Thoughtfully sized at 1,667 and 1,823 square feet, these homes give you even more space with an unfinished basement and attached 2-car garage. And front yards and common areas will be maintained by an HOA.